This book is about a movie based on one of Stride’s cases. Who would you cast as Jonathan Stride in a film or TV show? Who’s your favorite character in this book and why? 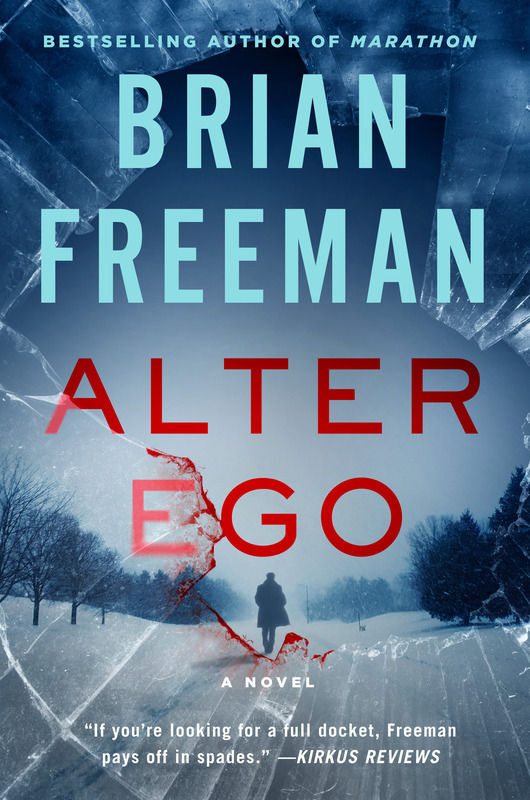 ALTER EGO is a cross-over book that brings one of Brian’s other series heroes, Cab Bolton, into Stride’s world. How are Stride and Cab different as heroes? How do Maggie and Cab fit together? If you’ve read Brian’s other Jonathan Stride novels, how has Stride evolved as a character over the past 15 years? Why does Aimee Bowe initially remain silent about what happened to her? Talk about Cat’s role and actions in exposing the real nature of Dean Casperson. Did she do the right thing? Discuss the relationship between Cat and both Serena and Stride in this book. Brian likes to give readers a “you are there” feel in the settings. How do the locations in Duluth and Naples add drama to the book? Why did Lori Fulkerson do what she did? How did you react to Lori as a character? Dean Casperson and Lori Fulkerson are both named for real people in Duluth who bid for the naming opportunities at a library fundraiser. Would you like to have your name in a book? What kind of character would you want to be? If you’ve read Brian’s Frost Easton thrillers, how are they different from the Stride novels? How is Frost different as a hero from Stride or Cab?